Dead Reckoning is a (fairly new) imprint of the Naval Institute Press that publishes military-themed graphic novels and books (e.g. they have published “All Quiet on the Western Front” as a graphic novel). 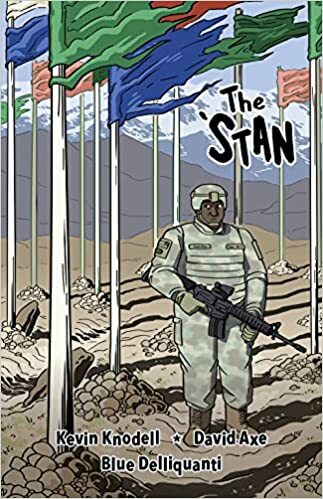 The Stan is a comic book based on stories collected by two American journalists (autors Kevin Knodell and David Axe) who have spent a long time covering the war in Afghanistan. The only story not based on their work is the opening chapter, which is a comic based on the life and words of former Taliban ambassador to Pakistan, Abdus Salam Zaeef. They use this first comic as a capsule history of the background to this war as well as a prediction of its futility and eventual failure. This is the only comic that gives a nod, albeit a minimalistic and relatively simple one, to the “big picture” of the Afghan war and it is a strictly anti-war and anti-interventionist one. The other comics are all about the “little people”, ordinary soldiers, an Afghan interpreter, an Afghan soldier and an Afghan policeman. The last comic is about one of the authors (Kevin Knodell), who may have some PTSD, and his parting words are that “America’s longest war was going to stretch on longer”.The stories are simple and the authors make little or no editorial comment. There is nothing revolutionary about the comic, but the overall effect is to humanize everyone involved, from the frequently idealistic and well-meaning American soldiers to their Afghan friends, hosts and enemies. Apart from the American soldiers doing various jobs there is an Afghan interpreter who can never go back home, a trainee policeman who wants to use his position to settle old scores in the village and another who wants to be Rambo. Sadly there are also kids who get blown up because the Taliban kidnapped someone and forced his brother to wear a suicide vest. The stories shed some light on the day to day conduct of the war from a foot-soldier’s point of view and the American soldiers depicted in the book are mostly trying to do their job as best as they can, but a sense of tragic futility does hang over all of them. Unfortunately there is almost nothing from an officer’s point of view and other than Abdus Salam Zaeef saying “the American’s should have used their mind and logic after 9-11. They should have investigated. Their haste and hubris was their biggest mistake” there is no discussion of the strategic or “big picture” aspects of the war. If you want that, you will have to read some other books, but if you want a grunt’s eye view presented with sympathy for the soldiers as well as ordinary Afghans then this is not a bad place to start. Does the author have anything to say about Pakistani Army and Gulf establishment C2, ISR, Logistics/Supply/Maintenance, equipment, funding, training, embedded advising of the Taliban? Is this strictly on the side of the Government of the Islamic Republic on Afghanistan, her ANSF (Afghan National Security Forces), neo Northern Alliance, Tajiks, Hazara Shia, Uzbeks; and their allies? But somehow miraculously does not apply to Daesh, Taliban, Pakistani Army and Gulf? It is easy to say that the ANSF might lose about 12 thousand killed in action this year and that is a waste. But is it reasonable for Afghans to accept a permanent occupation and rule by a proxy of the Pakistani Army and Gulf? The more than 60,000 martyrs who have died for their country have done so willingly, for love of country and for honor. Sadly a peace deal in Afghanistan will be seen as a betrayal by Pakistan and Saudi Arabia of the global Jihadi Islamist cause. They are likely to retaliate against both Pakistan and Saudi Arabia. In the short run the Pakistani civil war is likely to further escalate. In the long run what other alternative to Pakistan and Saudi Arabia have? Pakistan and Saudi Arabia need to save themselves from the Frankenstein global Jihadi Islamist force they have created. As part of the peace deal; India, China, and Asia need to provide Pakistan a Marshall plan [over $100 billion in grants], free trade, free investment, free cross border product collaboration, free skilled labor mobility, limited unskilled labor mobility. This will be painful and unpopular in Asia. But there is no other alternative. The international community (North America, Latin America led by Brazil and Mexico, Europe, Gulf) will need to contribute supplemental grants to augment the Asian Marshall plan. In addition to deeply unpopular economic and skilled migrant integration. What other alternative is there? Peace is hard. Peace requires sacrifice. Sacrifice is sweetness. One of the most visible Serbian words in South Asia. 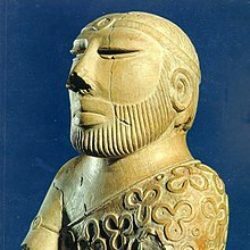 Brought by Aryans to SA 4000 years ago. The meaning is – the place of living (residence, housing, dwelling). AvganiSTAN (Afghanistan) = Place where Afghans live (reside). STAN literally means – Stop. 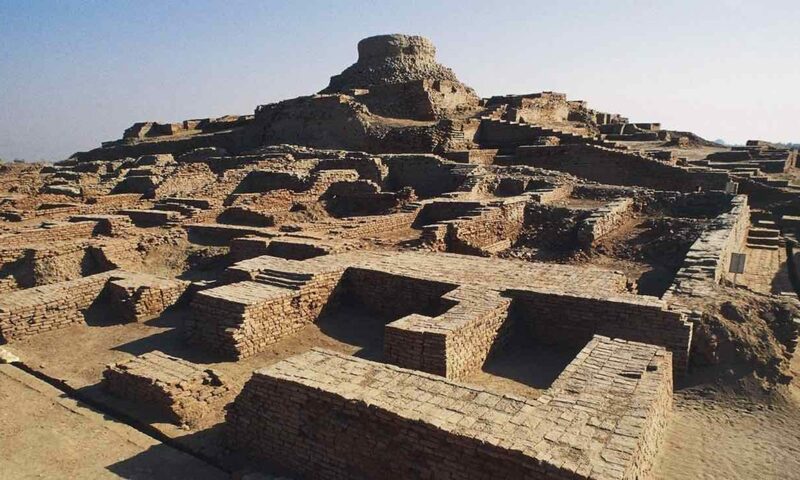 Probably originated since nomadic tribes were wandering around and when finding a good place to live they stopped. This is now their STAN. Usually used for individuals but archaically used for tribes and whole nations. Over time STAN becomes a HOME. If you feel well in your STAN it becomes your home. There was many global surveys about the meaning of STAN. This, in Huffington Post, The Guardian and others attracted several hundreds various responses but without success. Usually, the response was LAND or similar but this is not the right meaning. > Ja idem u STAN. (I am going to STAN); unless it is a temporary renting place. > Ja idem svojoj kući, OR Ja idem domu svom (I am going home).